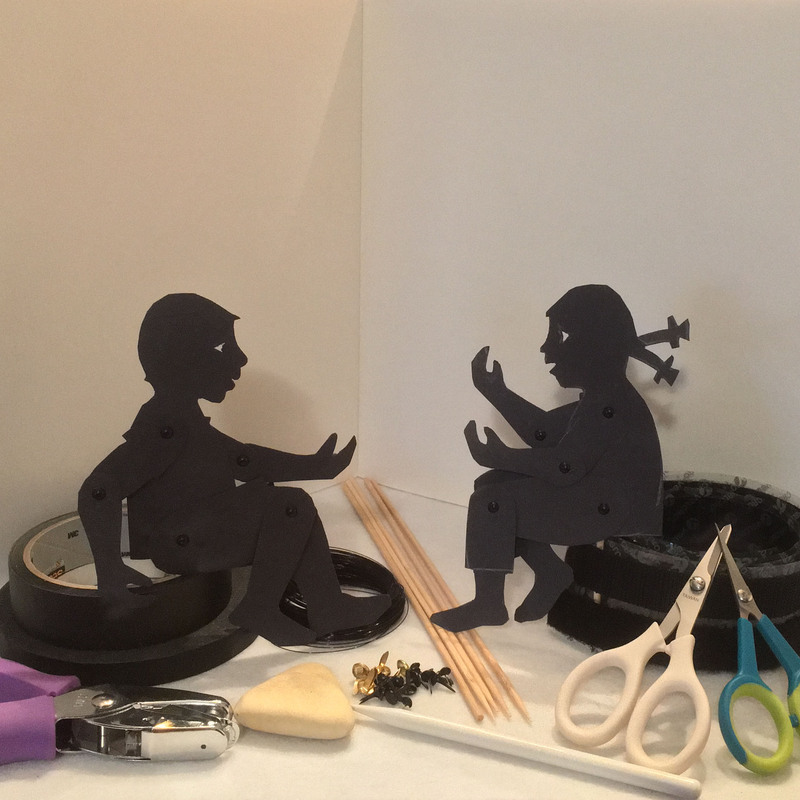 Instead of using velcro to connect moving rods to a puppet a cheap alternative is the use use bendable straws, first introduced by David and Donna Wisniewski in Worlds of Shadow, Teaching with Shadow Puppetry. 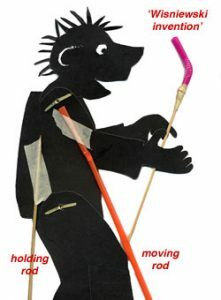 You can use complete straws by taping the short part of the bendable straw to the back of the puppet, as seen here with the orange straw attached to the arm. A more elegant solution with a thinner rod, more appropriate for older children, is the ‘Wisniewski invention:’ Cut off the bendable part of the straw, leaving 1″ on each side of the bending part. Insert the pointed edge of a barbecue skewer and attach both parts by wrapping a piece of masking tape around the parts. You can straighten the rods again if you want to store the puppets.